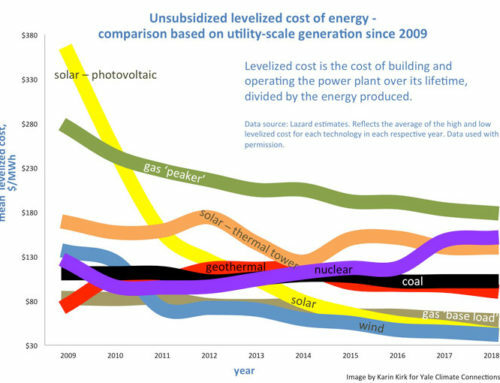 Sustainable Energy Group always takes a big picture perspective when it comes to designing solar electric systems. We recognize that each property is unique, and carefully tailor each design to the site’s environmental conditions, taking into account solar resource, grading, and shading from trees. We understand and appreciate the important ecological roles that trees play, including carbon sequestration, oxygen production, topsoil preservation, as well as their aesthetics. One of the most important roles of trees, that contributes to the biological richness of forest ecosystems, is their ability to sequester carbon. The carbon sequestration potential of trees is dependent on multiple variables, including age, tree type (hardwood or softwood), species (allometric coefficients can account for species variation in tree growth and size), climate, and size (biomass accumulation). If you are interested in estimating the carbon sequestration potential of trees in your property, Carlton College’s EarthLabs has developed a step-by-step resource for calculating carbon sequestration of common tree species in North America. However, not all is lost if you have a shaded roof and you have to cut down some trees to make space for a solar array. While solar modules cannot sequester carbon or produce oxygen, they can offset a significant proportion of your household energy use. This is noteworthy given that residential and commercial buildings contribute 11% of all greenhouse gas emissions, according to 2016 national data from the EPA.. To give a sense of the relative impact of CO2 emissions saved by solar, the carbon offset potential of a solar electric system can be quantitatively compared to the carbon sequestration benefits of trees or the equivalent CO2 emissions saved by not driving a car. Naturally it depends on the types of trees, density of trees/acre. But generally speaking, in one year an average-sized solar system can offset the equivalent of burning 362 gallons of gas in your car or planting over 90 trees. SEG can provide tree planting services if trees must be removed in the process of installing ground mount solar electric systems. Recently, SEG replaced trees that were displaced on two project sites, one in Shingle Springs and the other in Grass Valley. 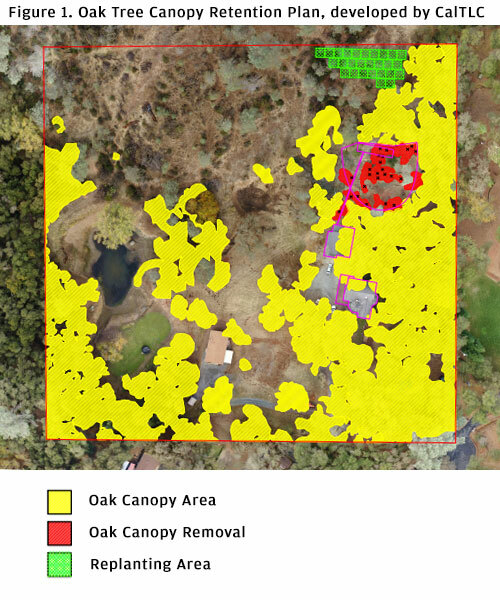 The one in Shingle Springs was noteworthy because it was a planting of native oaks in accordance with the California Oak Rehabilitation Program.The Oak Canopy Retention Plan was developed by CalTLC, a northern California arboricultural consulting company (see Figure 1). 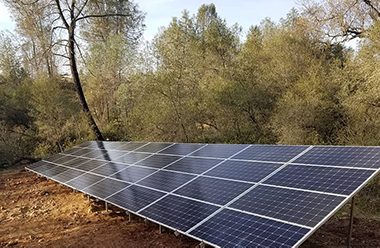 SEG planted 27 native oaks on the property to replace the trees felled for the installation of the ground mount solar array. The photo of the final installation of the ground mount array is shown above.